The group was founded by Mr. Gilbert A. Ceder. Mr. Ceder is a native Ohioan with a lifelong love for Packer football. 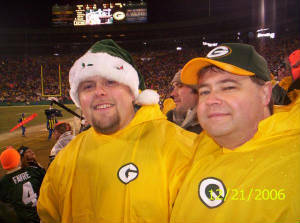 After years of watching Packer games alone or with a few friends, Mr. Ceder decided to try and assemble other loyal Packer fans from around the Cincinnati area to cheer on the Green and Gold.